As we creep closer to Cardsphere's second anniversary, these guidelines still stand up and I encourage everyone to have a quick read of the original article. It's not heavy stuff and will serve you well for those inevitable times when you get involved in a dispute. Today I will focus on the most common type of dispute, condition disagreements, and how you should use images in order to help sort them out. Both Mint and Damaged cards are not tradeable on Cardsphere. In the case of Mint, we do not support it because collectors often take this to mean "perfect cards" which are about as likely to receive as opening a Throat Wolf. We believe supporting this condition means inviting more disagreement, and more unhappy traders. Similarly, supporting damaged cards opens a lot of opportunities for unhappiness, and is used mainly to invalidate cards as tradeable. We have had many, many discussions with community members who have asked for us to support these conditions. Usually people suggesting we add Mint or Damaged feel like support for these will solve problems, but we're convinced it would just create more (and more difficult) tiers to argue over in many cases. It's important to note that only about 2% of all trades result in condition disputes. This means that an overwhelming majority of trades occur with no condition issues at all. Most of the time, most people agree on the condition of cards moving through Cardsphere. But not everyone will agree all the time. Some people are harder graders than others, and that's okay. As much as possible Cardsphere admins encourage traders to come to an agreement on their own. Unfortunately, we have noticed an effect where the senders tending to be accomodating seems to result in very strict condition graders becoming even more strict. As collectors they are looking for Mint cards, which are not tradeable on Cardsphere. When the two parties involved can't agree, we post the shared images to the #cardcondition channel on Cardsphere's Discord server. We get a few opinions from the community to mix with our own evaluation, and make a call. When the dispute rate for condition hits a level where it's roughly triple the average, Cardsphere admins will ask the user to add to their trade notes that they are strict graders, and speak with them about their expectations. In some cases moderation does not succeed and people move on to other platforms. But most of the time, we have found that a quick conversation helps synch up expectations with the rest of the community. "Risk Factor was sent as NM but I believe that it meets the definition of SP. I'd prefer to adjust the pricing rather than return the cards." As well, please include images of card backs and fronts for each card being disputed on condition. We understand that this can be an awful lot of work when there are packages of multiple cards with which you want to demonstrate condition issues. When providing images of multiple cards, use a grid and show cards with fronts in one picture and backs in another, without cards changing position. Use a dark, unpatterned background so that border wear is more detectable than it would be if the cards were on a white background. Light should be as even and flat as possible, with as little glare as possible. The entire card should be visible if you are complaining about its condition. Of course, some details are very hard to capture. 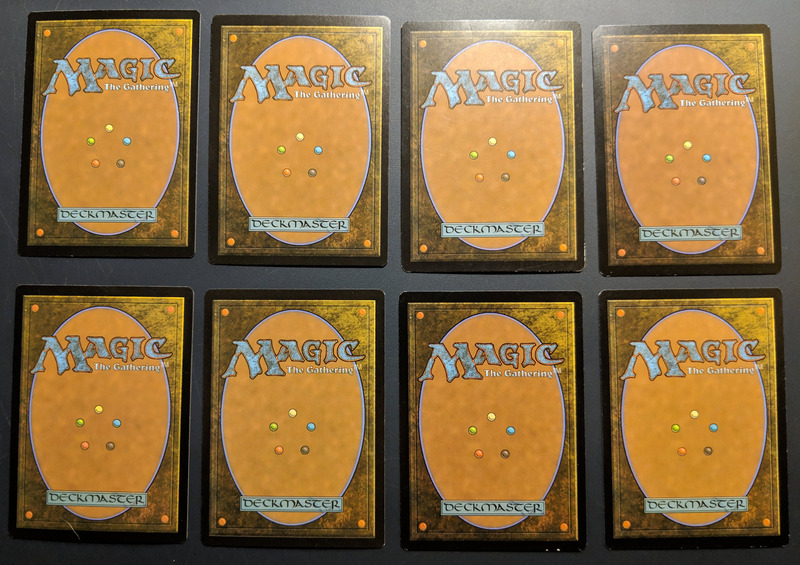 It's okay to also include close ups of damage you want to highlight, but make sure that it's clear for each photo which card is being discussed. Flaws that require strong, direct light being shone to be revealed are not likely to drop a card below near mint unless there are several spots on the same card. An example of when this kind of lighting would be appropriate is when you need to show surface scuffing on foils, which often comes as very many hairline scratches. If there has been any damage to cards or package in transit, take adequate photos of these and any postal system packaging and/or notifications you received. We also require photos to prove that receivers have had to pay postage due. With a good amount of experience under our belts, we have a pretty good understanding of things that people do in condition disputes to try and plead their case, as it were. Often times doing any of these things just prolongs the time it takes to get things resolved and so we ask you avoid them. As mentioned at the start of this article, the one and only authority for condition on Cardsphere is our condition guide. Other condition guides or ratings tiers may favor your evaluation of the condition over your trade partners, but we can't consider this during disputes. Outside our guide, both involved parties can also request at any time that we get the community to vote in the Discord #cardcondition channel. Sometimes people get cards as NM and then when they send them out at a later date, are surprised to find the receiver calling it SP. Cardsphere admins can of course only work with current information, and not follow the lifespan of cards changing hands a few times among the community. This means you might occasionally see different condition judgment as receiver and sender. Beyond the potential wear you have introduced through use, storage, packing and shipping, there is always the possibility you agreed to receive an SP card as NM to begin with! I know, I know. This was covered in the Disputes 101 article and then in another reminder above. But it's crucial. We've already established that people have greatly varying standards because condition is subjective no matter how much structure you put around it. There's a reason it costs so much to have cards graded and slabbed, after all. So don't assume someone's trying to rip you off because they have a different opinion. Tell us what you think in a calm, factual manner and we'll help you get through the dispute as best we can. Unlike sending your cards to a buylist, where the organization purchasing the cards gets to set the final condition grade, sending on Cardsphere gives you access to administrators and community members who are heavily invested in fairness. Admins are the owners of the company, and impartial third-parties (we do not handle our own disputes), so we're well aware that things not being fair will hurt the business. The active community who often comment in the #cardcondition channel are traders themselves, all of whom want fairness for others because they understand that means fairness for them as well. 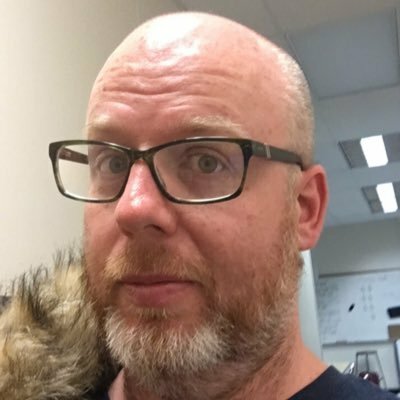 As we continue to mature the dispute system, more of this information and process will be baked into the product proper. But these things take time and by and large, the system is working very well for now. If you have any questions or comments, please feel free to comment on Reddit, in the Discord, reach out on Twitter -- we're available. And we like keeping our finger on the community pulse. Let us know what you think is working or not working about how condition disputes are handled on Cardsphere. Darin Keener has some thoughts about why Arena is more expensive for Johnnies, and what can be done about it. 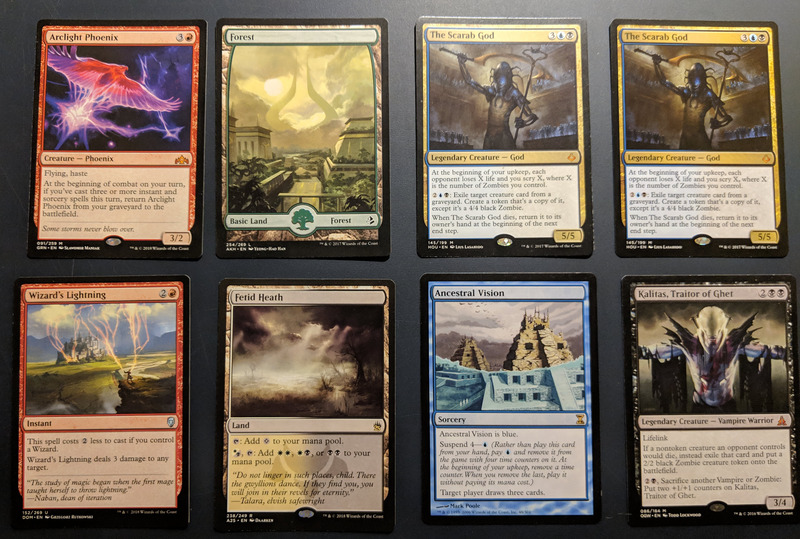 Cliff Daigle talks about using drop shipping to take advantage of the higher buying power a Cardsphere balance provides.